Clapotis Fun! 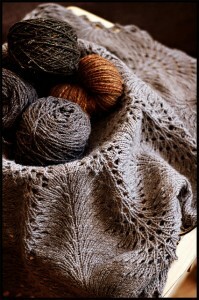 We had a grand time drinking Dorian Grey tea (pinkies out) on Friday night and showing off our charming Clapotis’! It’s such a nice thing to see a project done a few different ways and to enjoy some knitterly bonding. The last couple of Knit Nights we have been tossing around the idea of a KAL (knit along) and finally decided on a theme: Brooklyn Tweed. Jared Flood of Brooklyn Tweed has long been a favorite designer around the shop. His work can be both simple and complex (sometimes even within the same project) and his designs are some of the most popular around. I think Brooklyn Tweed makes a great KAL because there are just so many options! 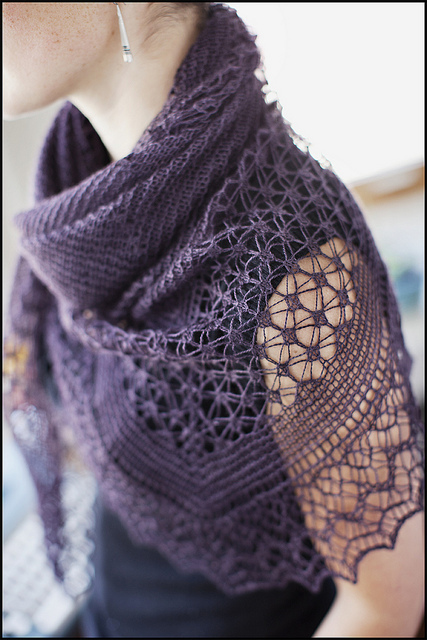 There are the more simple designs like the Romney Kerchief and the Noro Stripe Scarf and there are more complex like Rock Island (pictured above) or the Juneberry Triangle. 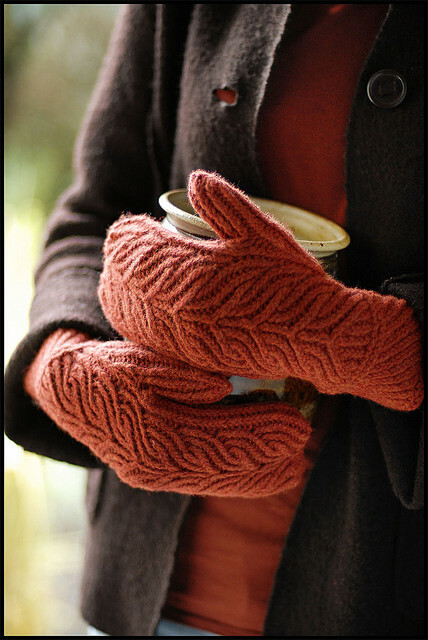 There are also projects on different scales, ranging from blankets and sweaters to shawls, hats, and gloves. The perfect thing to entertain a wide range of knitters! Simple right? I encourage everyone to share their projects and progress on Ravelry, I love to know what’s going on! I’ll be casting on my Rock Island today in SweetGeorgia Silk Lamb Lace, wish me luck! And in case anyone is wondering what other project have already planned out, the gals at Knit Night last friday area casting on 3 Rock Islands, 1 Terra, and rumor has it a Hemlock Ring Blanket. This entry was posted on Monday, May 16th, 2011 at 1:55 pm	and is filed under Uncategorized. You can follow any responses to this entry through the RSS 2.0 feed. Both comments and pings are currently closed. there’s the only picture of me ever wearing my clapotis, I am devastated to have lost it…on a happier note, I have a good start on my Terra shawl!